AGADIR, Morocco, June 23, 2010 (ENS) – A controversial plan that would have meant the end of a 24-year long moratorium on commercial whaling was today put on ice for a year by the International Whaling Commission at its annual meeting. The 88 IWC member governments meeting in Agadir failed to agree on the proposed compromise between whale conservation nations and whaling nations that would have legalized whaling in return for bringing the hunt under IWC control. Currently, three whaling nations – Japan, Norway and Iceland – set their own quotas without regard for the moratorium observed by all other countries. Japan conducts “research” whaling in Antarctica’s Southern Ocean and North Pacific under a provision of the IWC treaty, while Norway and Iceland have taken objections to the IWC moratorium. The three countries have killed more than 33,000 whales since the the moratorium took effect in 1986. The proposal by IWC chairman Cristian Maquieira of Chile and vice chairman Anthony Liverpool of Antigua and Barbuda was the result of three years of negotiations, but even they have said repeatedly that it does not reflect their personal views and was tabled merely as a basis for discussion. 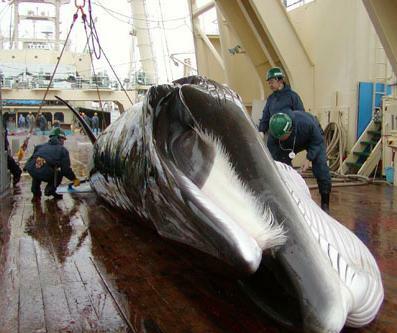 It would allow Japan to hunt up to 120 minke whales a year in Japanese coastal waters. It would also cut Japan’s annual catch quota of minke whales in the Antarctic Ocean from around 850 at present to 400 for the next five years and 200 over the following five years. In Agadir today, Liverpool, acting as IWC chairman in the absence of Maquieira who is ill, recommended a deferral until next year’s meeting, saying the positions of member governments remain far apart. 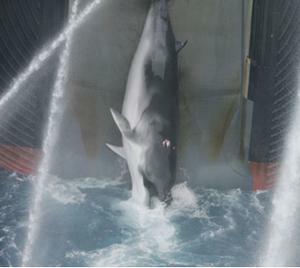 Yasue Funayama, Japanese parliamentary secretary for agriculture, forestry and fisheries, criticized countries, such as Australia and New Zealand, that want to eliminate whaling in the Antarctic Ocean. Funayama said these nations could not accept the proposal even as a basis for discussions because of their own domestic politics. Australian Environment Minister Peter Garrett today welcomed developments “to abandon” the compromise plan. 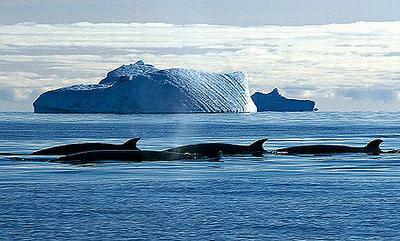 “Lifting the moratorium on commercial whaling would have been a serious and retrograde step. That is why Australia has fought so hard against this proposal, along with many like-minded, pro-conservation nations both in the lead-up to the IWC and here on the floor of the commission,” said Garrett. “It is now time to close the door on that proposal and move forward, whilst building on the increased understanding that has emerged from these processes,” he said. The reactions of environmental groups range from disappointment that a deal was not achievable to relief that the whaling moratorium will be maintained. The Pew Environment Group, WWF, and Greenpeace had supported a compromise, subject to conditions outlined in the lead-up to the IWC meeting. “The lack of sufficient flexibility shown by Japan to phase out its whaling in the Southern Ocean Whale Sanctuary prevented a decision from being adopted. Continuation of the impasse here may retain the whaling moratorium on paper, but unregulated whaling outside of IWC control, by Japan, Norway, and Iceland, will now be able to continue,” said Lieberman. The Southern Ocean Whale Sanctuary is an area of 50 million square kilometers surrounding the continent of Antarctica where the IWC has banned all types of commercial whaling. The sanctuary was established by the IWC in 1994 with 23 countries supporting the agreement and Japan opposing it. “This brings into question the integrity of the Commission and its ability to make meaningful decisions that benefit whale conservation,” Elliott said. “This was an intense three year effort but one conducted behind closed doors and focused on defining terms under which commercial whaling would continue rather than how it would end,” said Ramage.